When you see this play, you watch a woman governing her solitude in an open and hospitable way. Such a trick, to be at table, as yourself, in yourself and with others. Edith Wharton did it. Eucharist as an Open Table or a Closed One? In this blog I am trying to make a simple, small point. It is that grace at table could change us and make us less inured to poverty, less afraid of our own courage, more capable of the world we want for ourselves and each other. 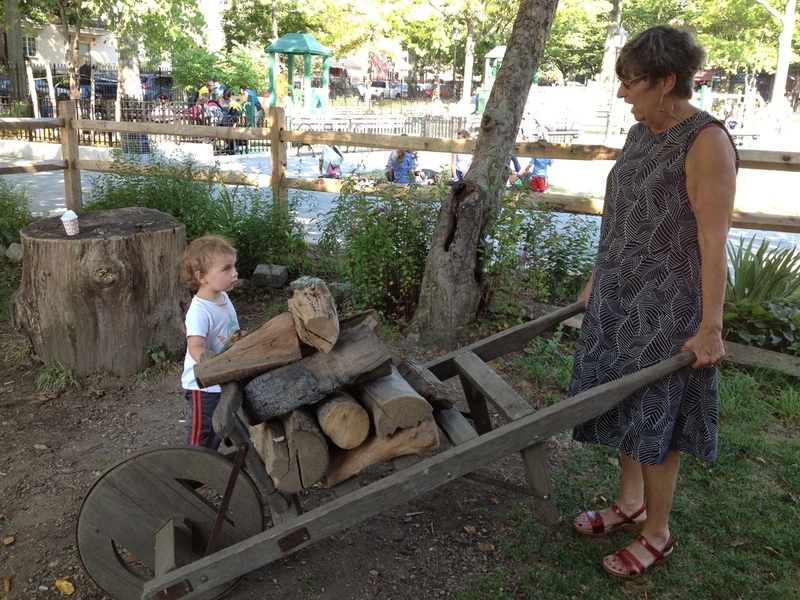 I use the wheelbarrow as a picture because it helps us lift heavy things, lightly, similarly to prayer or grace at table. I am at the Chautauqua Institution with a glittery group of multi faith folk, led by The Right Reverend Tracey Lind, who is the preacher for the week. Biggest topic: why is the communion or Eucharist table not ALWAYS open? By the way. it is the Roman Catholic Priests and Nuns who are leading this discussion. It is an easy subject for Protestants but not for them. Tracey's point was that the feeding of the 5000 was the first Eucharist and that it was surely open. What if the stem of poverty is in the closed table that we practice ritualistically? Oh, my. Where is my wheelbarrow when I need it? It's always good to have a little team work for a hard job. Imagine food without fuel. Costa is his name, gardening is his game. Don't you love his hair?